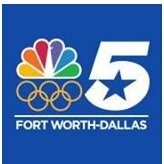 News TV Channel / KXAS-TV, virtual channel 5 (UHF digital channel 41), is an NBC owned-and-operated television station serving the Dallas–Fort Worth Metroplex that is licensed to Fort Worth, Texas, United States. The station is owned by the NBCUniversal Owned Television Stations subsidiary of NBCUniversal, and is part of a duopoly with Telemundo owned-and-operated station KXTX-TV (channel 39). The two stations share studio facilities located at The Studios at DFW at the CentrePort Business Park on Amon Carter Boulevard (near the Dallas/Fort Worth International Airport) in Fort Worth; KXAS maintain transmitter facilities located south of Belt Line Road in Cedar Hill.